WASHINGTON – Today, U.S. Senators Richard Burr (R-N.C.), Tom Coburn, M.D. (R-Okla.), and Orrin Hatch (R-Utah) unveiled the Patient Choice, Affordability, Responsibility, and Empowerment (CARE) Act – a legislative plan that repeals Obamacare and then replaces it with common-sense, patient-centered reforms that reduce health care costs and increase access to affordable, high-quality care. In contrast with Obamacare and its government centered mandates and regulations, the Senators’ proposal empowers the American people to make the best health care choices for themselves and their families. Following today’s release of the plan, the three Senators will work with their Senate colleagues and experts across the health care community to further refine and improve upon the proposal, with the goal of building consensus and introducing legislation. A detailed summary of the proposal can be found here. A side-by-side comparison to Obamacare can be found here. Frequently asked questions on the proposal can be found here. 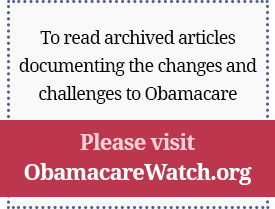 Illustrative examples of how patients –who are harmed by Obamacare— are helped under the proposal can be found here.